This weekend I spent in New York - and in between bad weather - had a little time to explore the Shawangunk Wine Trail - about an hour northwest of the city. 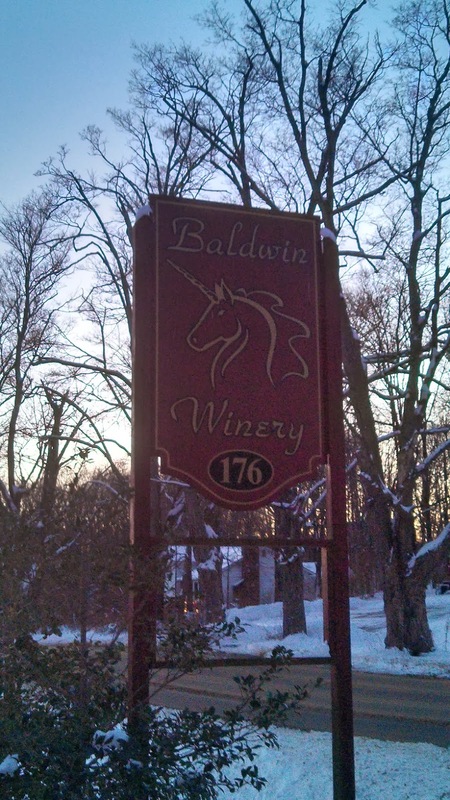 I selected two wineries rather close to each other and close to a mall to leave the family - Baldwin Vineyards & Brimstone Hill Winery. Both are located in Pine Bush and have been operating for over 30 years - maybe not as old as Brotherhood - but that's a long run. From visiting other wineries in the area, I've become fond of Baco Noir - yet I discovered on this trip that old reliable Chardonnay was the featured wine. Both versions were very similar - made in the Burgundian style - fermented in oak and aged on lees with more oak aging. 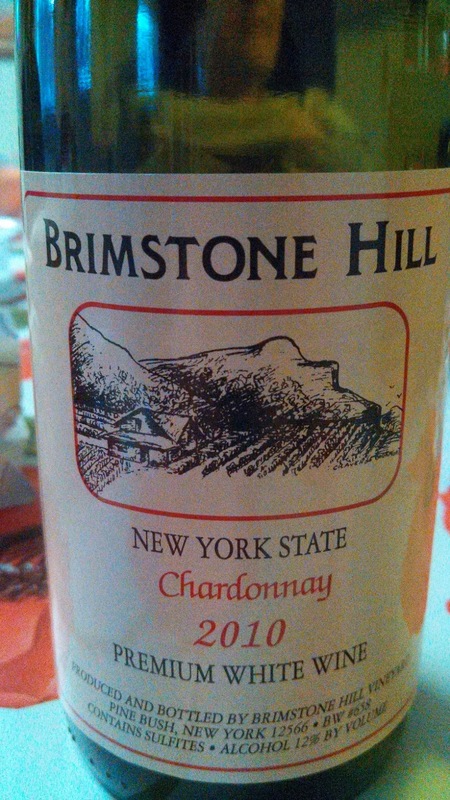 The result are two creamy, buttery wines with decent flavor - although the classic Chardonnay profile gets overwhelmed. The tail is short and could use more acidity - but these are pleasant wines - and very affordable for local wine standards at a little over $10. Pair with The Farewell Drifters.